The Women’s Foundation of Arkansas established the Woman Business Leader of the Year award recognize a woman in Arkansas who has shaped the success of her organization/business and demonstrated leadership, professional achievement and contributed not only to her workplace, but also her community. The award is presented at the Power of the Purse Luncheon in Northwest Arkansas. This award is designed to honor and preserve the names and exemplary accomplishments of women business leaders in Arkansas. Nominees are welcomed from across the state. Marcy Doderer took the helm as President and Chief Executive Officer of Arkansas Children’s on July 15, 2013. Over the last five years she has led the transformation of ACH into a health system, which includes multiple clinics, research institute and two pediatric hospitals serving over 700,000 children in Arkansas. Prior to her role at Arkansas Children’s, she served as a member of senior leadership for CHRISTUS Santa Rosa Health System in various capacities since 2002. Marcy held progressive leadership roles in Texas, serving in both large and small hospital facilities. 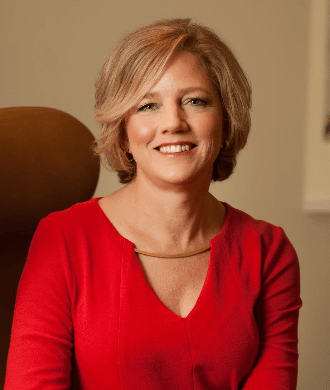 Launching her agency career as an intern at Mangan Holcomb Partners in 1994, Sharon Tallach Vogelpohl became a principal in the firm in 2005 and was named president in 2010. 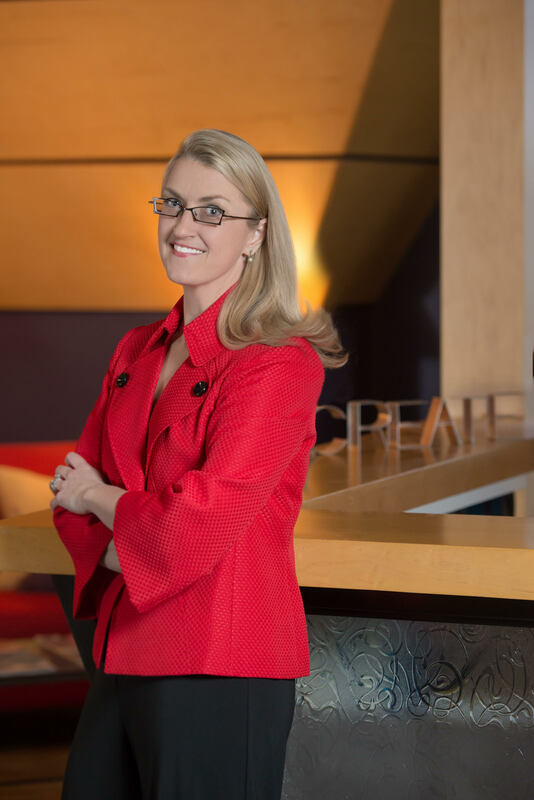 Along the way, she has nurtured many advertising and public relations campaigns from strategic development to award-winning recognition. Her twenty-year career spans the spectrum from copywriting to crisis communications for clients in every imaginable category. Sharon’s experience includes award-winning work for nameplates such as Verizon Wireless, J.B. Hunt, Walmart, Simmons Foods, Stephens Inc., Le Bonheur Children’s Hospital, Delta Dental of Arkansas and RiceTec, Inc.
Elise is an accomplished strategic communications professional whose entrepreneurial spirit helped build Mitchell into one of the top 10 fastest-growing firms globally and a two-time Agency of the Year winner – honored by both PRWeek and The Holmes Report. Today Mitchell is the leading PR brand in Dentsu Aegis Network, where Elise is also building a global PR capability for the network. Among many other recognitions, Elise has been named PRWeek Public Relations Professional of the Year and a Top 50 Power Player in PR. Elise holds a master’s degree from the University of Memphis. She is a wife, mom, runner, motorcyclist and passionate advocate for women entrepreneurs. Joan Johnson is the Co-Founder and President of White River Hardwoods. Martha Moore is owner and President of McCormick Works located in Ozark, AR. Growing up in the small town of Altus, Arkansas, Martha experienced first-hand the dire need for change in our economy and country. As a member of the first Mexican-American family in her town, she grew up with a passionate ambition to overcome poverty, to rise to challenges and achieve her lifelong dreams. Martha slowly worked her way up in the company her father, Edward McCormick, started in the 1980’s; from steamroller operator to secretary to office manager and ultimately buying the company piece by piece until she was 100% owner. Martha is now approaching her 22nd year of business, which alone is cause for celebration in these tough economic times. She has built strong relationships with many men and women in the industry, and has established a well-supported and solid reputation for her company. Judy R. McReynolds is President and Chief Executive Officer of ArcBest CorporationSM, responsible for managing the multi-billion dollar freight transportation and logistics services company, including oversight of the operating companies ABF FreightSM, ABF LogisticsSM, Panther Premium LogisticsSMand FleetNet America®. Since 2010, Ms. McReynolds has also held the post of Director of ArcBest Corporation, and is the only member of the company’s senior management who serves on the board. Her 25 years of transportation industry experience, including 18 years at ArcBest, provides significant value to the board. Nominations for the 2016 Woman Business Leader of the Year are now being accepted. The state-wide award will be presented at WFA’s Power of the Purse – Northwest Arkansas to be held on Tuesday, March 8, 2016, at the John Q. Hammons Convention Center in Rogers, Arkansas. The Northwest Arkansas Women’s Advisory Council will review the nominations and recommend an honoree to WFA’s Board of Directors for approval. Nominees may be living or posthumous*. Nominee has made a significant impact as a business leader; is recognized primarily as a business leader and for her managerial success. Accomplishments such as starting and building her business or leading an established business to greater achievements are especially noteworthy. Industry recognition, being an industry pioneer and/or leader and recognition by peers and others for her achievements are also considered. Demonstrated the highest level of ethics in her business dealings. Has made an impact on her company and community. Nominee displays concern for improving her community as a business leader and community member. A woman living within the state of Arkansas. A consideration will be given for diversity. The person will be non-political and not controversial. Support of and involvement with WFA is preferable but not mandatory. Nominations will remain on file for five years. Nominations must be submitted by the nomination deadline to be considered for the upcoming award year. *For posthumous nominations, please include date of death and mailing address information for a relative or contact. Why are you nominating this woman? Nominations may also be submitted via postal mail sent to WFA’s mailing address c/o “Woman Business Leader of the Year Award”.